If you haven’t heard the news, Russell’s Reserve Single Barrel selects have been incredible this year. Not that past years’ selections have been disappointing – not at all. But this year … this year has been one for the record books. While I don’t discriminate when it comes to Wild Turkey rickhouses, I’ll admit that rickhouse B is a personal favorite. In fact, I’ve had an extremely hard time turning down any rickhouse B pick I’ve come across in the last several months. Case in point, the two 2018 Russell’s Reserve private selections I’m reviewing today: Barrels & Brews’ “Backstage Pass” and Beast Master’s “That Old Kentucky Chew” (orange label). I’m not sure if there’s backstories behind these two picks. I know that Barrels & Brews is associated with Carother’s Wine & Spirits in Franklin, TN, and Beast Masters is a whiskey club based out of New York, NY. Each are well-respected on social media and have private barrels that receive notable praise from bourbon enthusiasts. But honestly, none of that matters to me. What matters most is that these are 110-proof, NCF, Wild Turkey KSBW single barrels pulled by Master Distiller Eddie Russell himself. It also helps to know that they’re from the second oldest rickhouse on Wild Turkey Hill … rickhouse B. One might say it’s the bourbon history nerd in me, others might say it’s pure nonsense, but in my perception there’s something remarkably special with the profile rickhouse B creates. To me the flavor it imparts falls somewhere between rickhouse A and rickhouse G (another personal favorite). Whereas A often produces bourbon with a lighter bakery-esque vibe, and G often produces bourbon with a heavier caramel and spice vibe, B lands somewhere in between. Of course I’m stating generally, as these are single barrels I’m referencing. And, of course, seasons do matter. But whatever the reasons might be, it really worked out this year. Speaking of which, I decided to reach out to Eddie Russell to ask why 2018 has furnished so many fabulous single barrel selects – particularly from B, D and H. As much as I’m convinced he pulled as many honey barrels as possible, Eddie gives sole credit to time and Mother Nature. He stated that he’s limited in which rickhouses he can pull from annually and that some years are simply better than others. Special thanks to Eddie for telling it straight. No flim-flam – no whiskey guru talk you sometimes hear touted by producers. No sir. The Russells and crew distill it, barrel it, rack it, age it, and pull it. No BS, just KSBW. And damn good KSBW too. Based on the past several Russell’s Reserve Single Barrel bottles I’ve enjoyed, I’ve got a feeling that neither of these private selections will be sub-par. But let’s not jump to conclusions just yet. A proper side-by-side tasting is arguably the best way to gauge the finer details of similar whiskeys. With that let’s pour and see how these two single barrels line up. Overall: Barrels & Brews’ Backstage Pass is a quality pour. Is it a cut above a majority of the Russell’s Reserve private selections I’ve enjoyed this year? Not really, though the bar has been set rather high in 2018. While it’s certainly balanced and carries engaging complexity, Backstage Pass ultimately lacks that special or unique quality to help it shine above the virtual sea of similar 2018 Russell’s Reserve barrel picks. I’m not saying I don’t recommended Backstage Pass. Not at all. I think anyone purchasing this release will be satisfied. Just don’t go into it expecting it to blow your mind – especially if you’ve already had a handful of amazing Russell’s Reserve picks. Give it time. Let it breathe. It opens up rather nicely if you’re patient and dig into the bottle a bit. Overall: What a beast (pun intended)! The Beast Masters Club has quite a following, and based on the flavor of this bottle I can definitely see why. Almost everything I look for in a Russell’s Reserve Single Barrel private selection is here – notable complexity, ideal maturity, and balance in and relative to each phase of tasting (nose, taste, finish). It has all of that and a whopping dollop of rich, thick, syrupy sweet bakery spice. Special note: Starting with this post I will be employing quarter-point ratings when applicable. While I’ve struggled with this decision for months, I’ve finally given in after tasting so many back-to-back quality single barrels and with the prospect of barrel-proof, single-barrel releases to come. I may go back and revise past ratings at some point (if warranted), though it’s not on my agenda at the present time. Interesting review as always! And I like the decision to use quarter points in ratings. Thanks Jon. It was a struggle, as I prefer a simple scale. 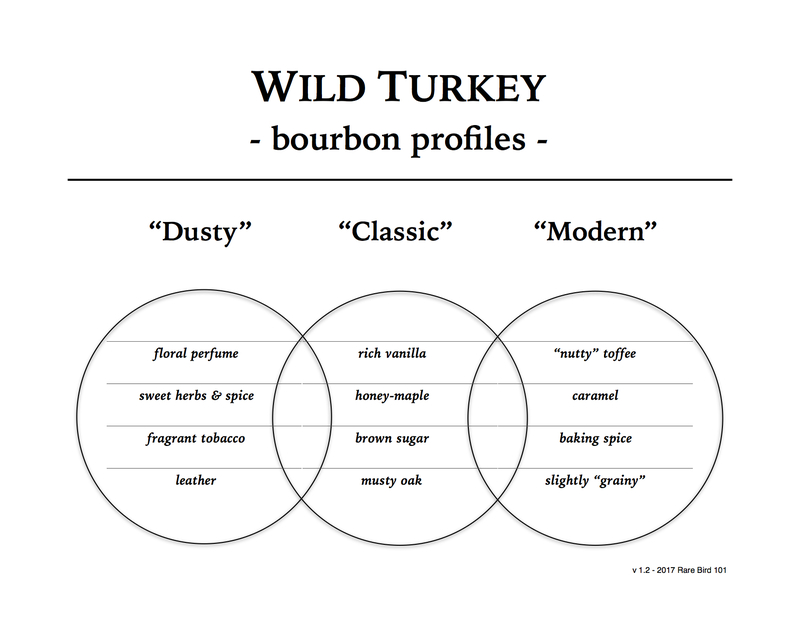 But with all the top-quality pours coming out of Wild Turkey lately, I had to do something to narrow down differences more accurately. Very glad you approve! Local store, MSL Liquors, just got in two different barrels from rickhouse B – floors 5 & 6. Looking forward to trying both to see the differences between the two.